A relative who’s lived in Paris for 45 years once said that after all those years he still discovers passages which he’s never walked down, such is the nature of the City of Lights – there’s always more to discover. As such, I find the best way to explore Paris is to get lost, and then wander the streets until you eventually find your way back home. Along the way, you’re guaranteed to stumble upon countless culinary treasures, some well known, others yet to be discovered, which makes for a trip with a true sense of “adventure” in one of the truly beautiful cities of the world. To finish of my French travel diary series, here is a list of the places I’ve discovered and loved on my wanderings through the cobbled streets. If you have others, I’d love you to share them too! This teeny tiny place is situated above La Bottega de Pastavino and is accessed by a dark staircase at the back shop. The fare is simple Italian and price is mid-range. The atmosphere, the location in gorgeous St-Germain-des-Près, and the quality of the food make this my must-visit restaurant even though it’s not French! Bookings are essential. Just like the L’Entrecôte restaurant in Monpellier, there’s only one thing on the main menu here – Entrecôte. There are a few locations around Paris and it’s a great option for a low-fuss feed. 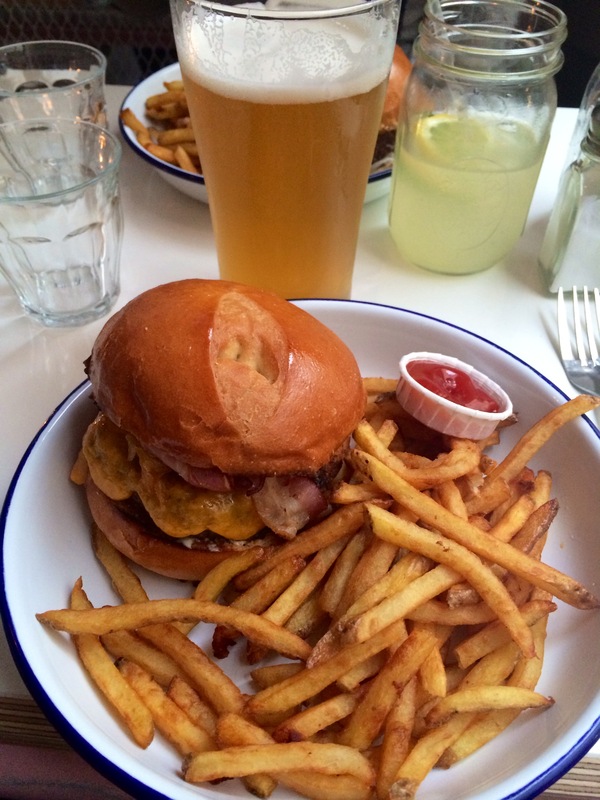 Burgers are very on-trend in Paris and this is the third & newest location from the Paris-New York team. The menu has a great selection that is really well priced for the quality. Sightseeing can be thirsty work, and you’ll find the finest drop of tea at Ladurée. Their tearooms are very touristy, but sometimes cliché is fun, as long as you don’t mind waiting in the queue for a table. Their macarons and patisseries are famous and the décor is reminiscent of 18th century aristocratic salons. 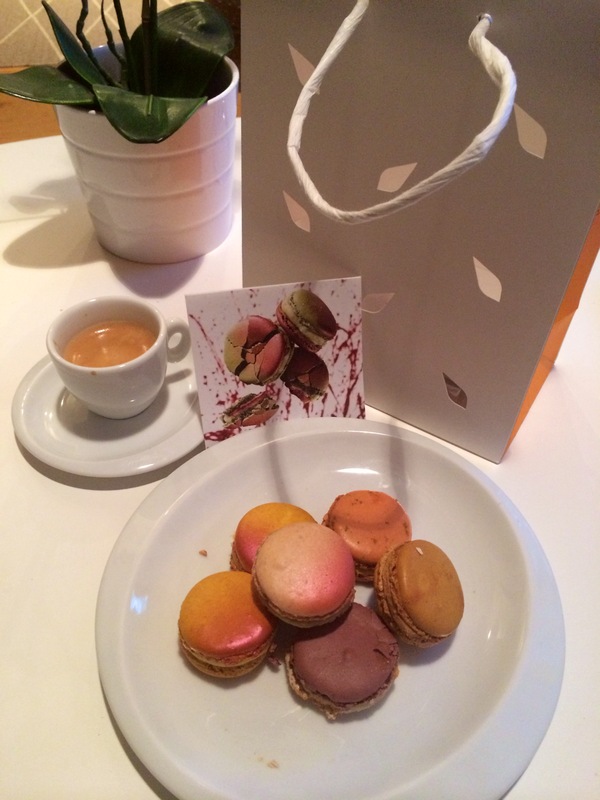 Widely believed to be the maker of the best macarons in Paris, a visit to one of Pierre’s Paris boutiques is a must. The flavour combinations are exquisite like Olive Oil with Mandarin Orange and Passionfruit, Rhubarb & Strawberries. There is a range of other delights on offer too, including ice cream in the summertime. Unlike the name and the locale suggests, Frenchie to Go isn’t French at all, but American. This tiny but super hispter café serves delicious American-style sandwiches, like your classic Reuben or pulled-pork. Arrive too late in the day at this mecca for English-speaking brunch lovers in Paris, and expect to be wait before getting a table. Holy Belly has a reputation, and it’s well deserved. Owned by Frenchies, Nico, a gun behind the coffee machine, and his parter Sarah, who’s a whizz in the kitchen, expect to be warmly greeted and then treated to Holy Belly’s delicious fare. Knowing Nico’s coffee pedigree (he worked at Market Lane in Melbourne for a time), I expected good coffee here and wasn’t disappointed (neither was the Madame on the latte front). If it’s sunny, grab a takeaway, wander to the end of the street, and sit along Canal St Martin for a coffee with a view. We found this place around the corner from the apartment we stayed in, and it immediately became our morning go-to place on the way to wherever else we were exploring. Random location within the Finnish Institute but a great spot for a light lunch (they do delicious sandwiches and little desserts) and/or a fantastic coffee. Our favourite cup of Joe on the left bank. A tiny coffee bar not too far from PNY Marais. On a sunny day this is a lovely spot to sit outside of and read the morning paper with a coffee in hand.